Valentine’s day is here. You are surrounded by Valentine’s promos and couples giving each other gifts on this special day. It’s the day of the year that lovers wait for and singles dread. Being single on Valentine’s day, you are forced to face the fact that you do not have a partner. However, should you just sit in the corner of the room and sulk, or should you find a way to enjoy Valentine’s day nonetheless? Well, the answer is up to you. But if you decide to enjoy Valentine’s while being single, here’s a list of six worthwhile activities that you can do on this day. 1. Go on a road trip with your best single buddies.Valentines is the day to celebrate love, but it did not specify only romantic love. There are many kinds of love and it includes the one shared between friends. So, as early as now, make a campaign in your Facebook timeline to convince your other dateless friends to go on a date with you. But instead of having the usual dinner or watching movies, go on a road trip. This is a great time to explore places, especially because February 14 this year happens to fall on a weekend. 2. Spoil yourself. Many psychologists say that self-love is the greatest kind of love. So why not celebrate Valentine’s day with the best lover you ever had—yourself? Treat yourself to a sumptuous meal or buy yourself a luxury item that you’ve always wanted. Try going to your favorite bar. Who knows? You may meet someone there that you can date at least for Valentine’s Day..
3. Watch a romantic movie. If you don’t want to go out at all but you want to feel the spirit of Valentine’s, then take out your romantic DVD’s and binge-watch them. You may not have a date, but you will still feel your heart flutter and spatter with vicarious romantic feelings. 4. Spend it with family. If you want to spend valentines with people who care for you and love you no matter what, then don’t look farther than your own family. Surely, mom and dad will not complain having their beloved child around to celebrate love day with them. 5. Spend the whole day on social media. In the age of social media, you never have to be alone. Facebook is the best place to hang out online if you don’t have a date. You can post your views about love or it can be unrelated to love. 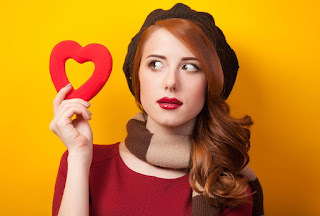 You can visit social media pages of your favorite brands and search for great deals this Valentine’s day. 6 Dare to do one thing that you have never tried before. Want to celebrate and make this Valentine’s day an occasion you’ll never forget? Dare to do something that you have always wanted to do. Think of things that you have not tried because of fear or because of lack of time. Maybe you’ve always wanted to try bungee jumping, but you’re afraid of heights. Or maybe you’ve always wanted to write a novel but you’ve never had enough time to actually write it. Valentine’s day can be a time for you to try new things to celebrate your being single. Being Single on Valentine’s Day doesn't mean you can't celebrate the love you already have in your life. It doesn’t matter if your’re single or in a relationship this Valentine’s Day. What matters is you celebrate it with much love for yourself. When the right person comes, you will be able to share more of that love to the person who deserves it.